Suits actress Meghan Markle and Prince Harry are expecting their first child but they are in no hurry to reveal their baby's gender. Even the royal couple is clueless if it's going to be a baby girl or boy and so we'll have to wait until the big announcement comes from the Buckingham Palace itself. However, thanks to Serena Williams, fans are busy speculating if the couple will welcome a baby girl in their family. 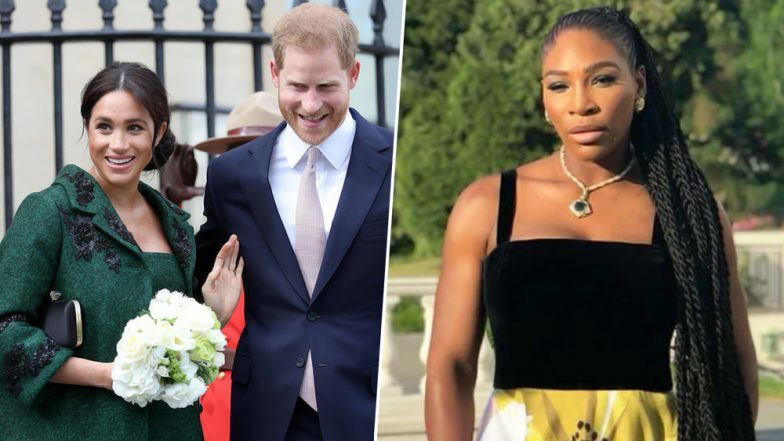 The ace tennis star in her recent conversation was heard narrating details of her 'friend's' pregnancy and fans were quick to jump to the conclusion. This Is How Meghan Markle And Prince Harry Are Orchestrating Their Baby's Arrival. When E! News asked Serena what advice she has for parents, she revealed, "My friend is pregnant, and she was like, ‘My kid’s gonna do this,’ [and] I just looked at her like, ‘No, she’s not. No, you’re not. She was like, ‘I need to talk to you about tips,’ because, yes, I had all of those high expectations." Many started wondering if she was talking about Meghan as the duo shares a great bond and if the former actress was indeed looking for some maternity tips from this celebrity mom. Earlier when Prince Harry was asked about parenthood, he expressed his desire to have a baby girl. What Are the Odds That Priyanka Chopra May Become the Godmother to Meghan Markle and Prince Harry's Royal Baby? Meghan's disappearance from the public eye currently further hints if the Princess of Sussex is due any time. It may be a matter of few more days before we finally get to welcome this royal baby and until then, let's keep thinking about some baby names.